Every week I speak with a variety of potential clients interested in our Property Management services. One of the first inquiries is about our fee structure. This is not a question that I shy away from. I understand how our company is structured and how we operate. I am always up front and transparent regarding all of our fees. I have seen investors fail by choosing a smaller, less experienced property managers just to save a few dollars. Almost every month I have a client come from another Property Management company who is either constantly charging excessive fees or failing in some regard. They are not protecting the investor’s interest or their investment property. While it is almost impossible to identify every risk factor in investing, there are common categories of property management to take in to consideration. Successfully managing investment properties requires a specialized set of skills and expertise. Many licensed agents and investors don’t have specific knowledge of landlord-tenant laws or other important issues regarding property management. Most people are not capable of managing their own properties well and often create unanticipated problems. This may lead to longer vacancies, less tenant retention, legal problems, expensive maintenance issues, or other problems. These things greatly affect the Return On Investment. Various groups of people offer property management services, but not all services are alike. For years people have managed their own investment properties. This was much easier 20 years ago before the rental market had become as sophisticated and competitive as it is today. Marketing can be overwhelming as most renters find their properties through online services and social media outlets. Most landlords don’t have the systems in place to document the property effectively, create professional marketing photo’s, or broadcast them to the right marketplaces. This increases the days on the market which will reduce the cash flow for the property. Landlords may also not have the capability to do intensive tenant screening. Finding a qualified tenant is one of the most important things that can be done to help reduce potential liabilities. Many landlords do not properly account for rental income or know how to enforce rental payments when tenants fall behind in rent. 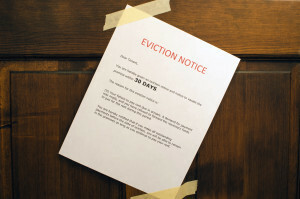 Too many landlords have come to us with tenants who are 90 days or more behind in rent, need eviction services, and do not have proper documentation, receipts, or accounting to ensure that a proper judgement is placed on the tenant for past rents. Some renters are professional tenants who have learned more about their rights as a tenant than the landlords know. 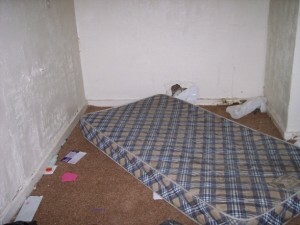 This can create tricky situations where tenants can cause legal problems for their landlords. Using a property management service is not only convenient but also a great way to safe-guard your investment to help stabilize your profitability. Several years ago, the real estate market changed. During this time Real Estate Agents and Brokerages found themselves in a difficult position. Homes were not being sold and purchased on the retail marketplace. The Realtors were unable to make a living through their commissions. They decided to supplement their business by managing rental properties for people who were unable to sell their homes. Unfortunately, property management is not nearly as profitable as a single commission. Most properties in Indianapolis will only pay about $1000/year for property management but a realtor is likely to get $3000-4000 in immediate commission for brokering the sale or purchase of the same property. As the housing market continues to stabilize the Brokerages who once offered property management services are moving back to the more profitable business of brokering real estate transactions. This means that most Realtors are putting more effort in their brokering services than property management services. Likewise, they are not typically equipped with the proper staffing, experience, and technology like a specialized property management service should be. Many Real Estate Investors found it difficult to make a living during the market collapse as well. Those investors would purchase distressed properties, rehab them, and sell them on the retail market for a nice profit. When the banks tightened up their lending requirements, few people were able to purchase homes. They were left with properties that were valued at less than they had been during the asset bubble and they had nobody to sell them to. The only people buying properties were cash buyers. The cash buying market was now bigger than ever. Many of the cash buyers were remote and couldn’t manage investment properties themselves. This gave rise to the Investor/Property Manager industry. Unfortunately, like the realtors, these investors were not experienced in property management. They also make faster money from the sale of the home than they do from their property management service. I have dealt with many out of state investors who have overpaid for their properties and had very poor results from the property management. It is important to evaluate the one-stop shops to ensure that their property management service is not just a new service that they’ve added because it was convenient and trendy. The best property managers are going to consider themselves as part of your local team. They should be willing to take every step to ensure the profitability of your investment, not just their own profits. Access to technology that will streamline many services like marketing and showing vacant properties, screening tenants, rental collections, accounting, and maintenance calls. Policies and procedures in place to take care of maintenance and rental issues even on nights and weekends. In-house maintenance team to stabilize maintenance costs. 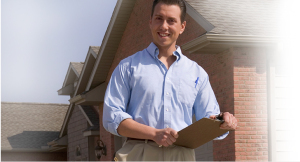 Periodic inspections to properly protect your home and ensure lease compliance from the tenants. Familiarity with State and Local tenant-landlord laws and safety codes. Legally enforceable leases and other documents. Working with a true property management company helps ensure that your investment property is priced properly, marketed effectively, prospective tenants are screened well, and the home is protected at peak level for optimal performance. They have all the pieces in place for your tenant to have a great experience so they will stay year after year keeping your vacancy rate low and your costs down. If you have read my article on Rental Property Nightmares then you will understand that there are a variety of things that can go wrong at a rental home. Each of these can create new expenses for your investment properties and affect your overall performance and return on investment. People have lost thousands of dollars trying to do things themselves or save money with a “value-brand” property manager. Time is money in Real Estate Investment. Vacancy time not only costs lost rents but also holding costs (i.e. 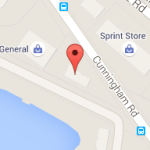 utilities, lawn care, security, etc.) Some people try to save hundreds or even thousands of dollars on rehab costs but lose months of rental income. They may even incur larger maintenance bills in the future due to improperly completed work. You have to compare price to quality and time as well. If you save $1000, but the project takes two months longer to get on the market you are usually losing money. The average rental in our office is around $950/month. That would be a loss of $900 ($1,900 in lost rents minus the $1,000 savings.) If the work is lesser quality then it may impact the marketability or future maintenance costs. These items are harder to put a number on. Quality tenants that you want in your home may elsewhere because the home is not reconditioned in a desirable manner. This incurs a new liability… Less stable tenants. When managing a home yourself, how much is your time worth. Time lost by marketing and showing your vacant home. Often times, only 40-50% of scheduled showings and open houses actually make the appointments wasting time that you could be spending with your family or other activities. There is also time invested in making yourself available when problems arise at your rental property. Time spent to take care of those problems. Maintenance calls will never come at a convenient time… because you are never just waiting for the calls. You are living your life and those calls just interrupt those activities. A professional property manager will have employees available during office hours and an emergency maintenance line available after hours. Their time is designated to being available for these kinds of issues so your is not. They will also have trained maintenance staff who will take care of issues quickly and communicate any potential concern back to the property management team. Do you or your property manager know what is going on at your home? Are there unauthorized pets or occupants? Are there any preventative maintenance issues that need addressed at the home? 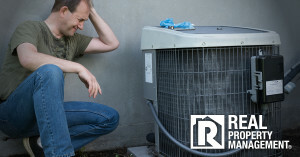 Inspections help protect your home. By ensuring that small problems are addressed in a timely manner, they are much less likely to turn in to major problems later. Many “value brand” property managers do not do inspections or have in-house maintenance staff to communicate these things back to the property managers. Unfortunately, the owners are left paying for the problems that could have been easily mitigated by a little diligence. Poor property management will often allow rents to get very far behind. This dramatically reduces the performance of an rental home. A good property manager will have policies and a team to handle all of these issues. While they will do everything possible to get the home in to a performing situation, they will also know when to draw the lines and begin moving forward with other options… including potential eviction. The best way to reduce the possibility of evictions is by offering a desirable home that will draw quality tenants and having good screening in place to identify those tenants. Saving personal time and providing convenience and peace of mind has a different value to different people, but it is always valuable. How much does losing tenants costs? Maintenance and communication is one of the biggest contributors to tenant retention. Is their property manger available to take care of their needs? Are any issues handled in a timely manner? Losing tenants at a higher frequency means more vacancies and more costs. Saving $10 or $20 a month for a “value-brand” property manager will often cost you thousands. I have seen all the profit from a portfolio get wiped out by high tenant loss, improper maintenance and inspections, and evictions. We specialize in helping to make rental properties profitable. For more information, Give us a Call and Get your Free Quote Today!